Adios, 2007! With the year winding down, the latest numbers on total residential real estate sales in the Birmingham and Shelby County areas show a drop of 6% for the year, compared to 2006. Sales of single family only properties are 8.5% below last year. And while these numbers do suggest a slow-down, it is nowhere near the meltdown plunges being suggested in so many national news media reports about real estate. And when you also consider the fact that 2006 is considered the best year ever for residential sales (according to the Birmingham Area Multiple Listing Service, Inc.), it’s obvious once again that central Alabama’s real estate market remains healthy. Another interesting statistic: Residential inventory is dropping. According to the MLS, the backed-up inventory, which peaked at 13,582 in August, 2007, has dropped to its lowest point since April, 2007. 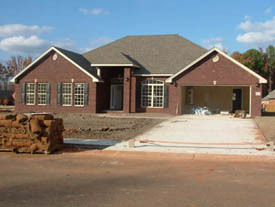 In November, 2007, the Birmingham MLS showed 12,979 residential properties for sale. Both average and median prices of homes sold in 2007 remain just about even with 2006. 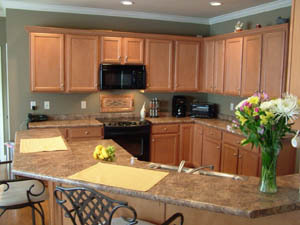 The typical number of days a home has been on the market increased from 94 in 2006 to 109 in 2007. And how about this: When all the final numbers are in, 2007 may still turn out to be the second or third best year ever for total sales, according to the MLS. So, what’s ahead for 2008? The National Association of Realtors predicts existing-home sales will increase. The buyer’s market is also expected to continue. And because the Birmingham and Shelby County markets have traditionally been very stable (as opposed to experiencing radical highs or lows), any trends that do occur during 2008 are not expected to be extreme. Cycles in business are normal. No industry can sustain growth year after year after year. At some point, there has to be an adjustment. Economically, Birmingham and Shelby county are in good shape, with very low unemployment. The bottom line, as most familiar with the local market see it, is that 2007 was a very good year for real estate sales in the area, and 2008 will be, too. When the market favors buyers (as it does here for now), it’s imperative that sellers make their homes shine and price them competitively. That’s why some homes sell easily during a buyer’s market, while others don’t. And with interest rates low and so much inventory still available to choose from, if you’re thinking of buying a home right now, our advice is simple: Go for it. We hope you have a safe and prosperous 2008! Struggling Shelby County Home Sales? Not! If you’ve been taking in national news reports about the slumping world of real estate lately, here’s something that may come as a surprise. Housing sales in the Birmingham and Shelby county areas continue to be quite healthy–and that’s not just an opinion. It’s backed up by newly released numbers from the Birmingham Multiple Listing System. As local MLS officials point out, there is no such thing as one national real estate market. Rather, all housing markets are local. While it’s true that housing sales for October, 2007, were 15% lower than the same month in 2006, that figure alone doesn’t tell the whole story. According to the MLS, October’s 2006 sales were the most ever. What’s more, MLS officials predict that 2007 will end up with around 17,500 sales total, which, if true, would make ’07 the second best year for sales. Average sales prices have climbed, too. The average for 2006 was $198,127, while–so far for 2007–the average sales price is $199,300. So, the next time you hear about doom and gloom in real estate, remember one point: The Birmingham and Shelby Co. housing markets are not playing that game, and haven’t been. Here’s hoping you’re having a super holiday season!